Wet Film Thickness Gauges accurately measure the Wet Film thickness of inks, gels, coatings, adhesives, paints and almost any other wet film that may be applied to surfaces. It is important that a coating is applied to the correct thickness. Applying too much wet coating will not only waste time and money, but there is also a possibility of the coating cracking during the curing process. Too little coating and there is a chance that the substrate will not be sufficiently covered. To control process variables, it is often desirable to measure while the film is still wet. 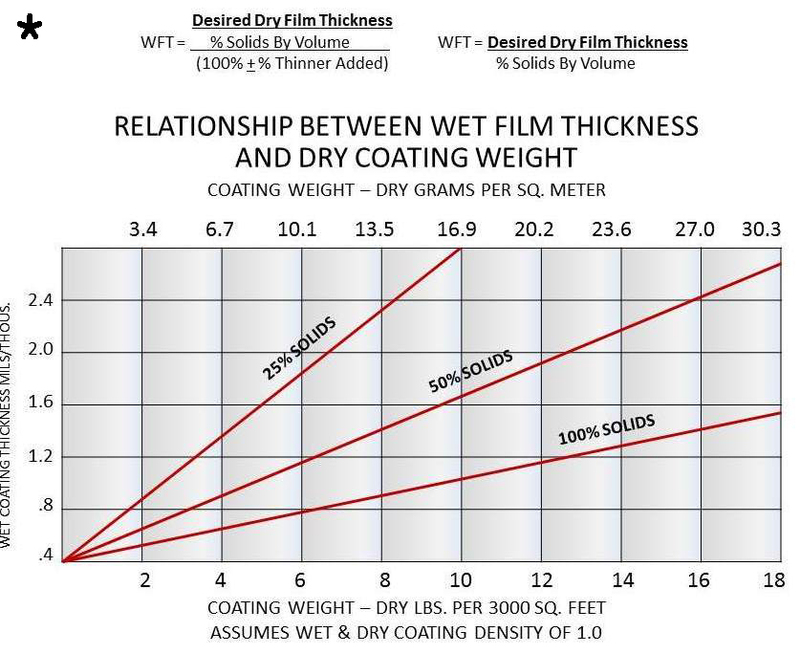 Wet film measurements are also useful for systems where the dry film thickness can only be measured destructively. 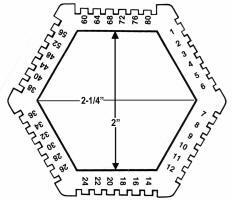 Our gages are in conformance to ASTM D4414-95. ISO 2808. The edge of the comb is placed into the wet film and then removed. The thickness of the wet film is determined by examining the paint left on the teeth of the comb and the thickness scale marked on the front face of the comb. 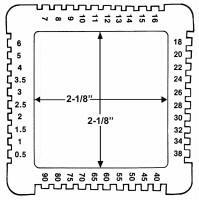 A dual range Wet Film Thickness gage of aluminum or vinyl material with thirty six stepped scale divisions. Range 1 to 80 mils and 25 to 2003 microns. Size 3.0" x 3.50" x .032 thick (76.2mm x 88.9mm x .8mm thick). All letters and numbers are of a durable baked thermosetting paint. Front side has mil scale, back side has micron scale and blank space to insert an advertising message/logo. A dual range Wet Film Thickness gage of aluminum or vinyl material with forty stepped scale divisions. Range 0.5 to 90 mils and 12 to 2250 microns. Size 3.0" x 3.0" x .032 thick (76.2mm x 76.2mm x .8mm thick). All letters and numbers are of a durable baked thermosetting paint. Front side has mil scale, back side has micron scale and blank space to insert an advertising message/logo.